New Delhi, August 30, 2016: Congress President Sonia Gandhi on Tuesday wrote to Pope Francis expressing the pride and delight felt by every Indian citizen on the September 4 canoninsation of Mother Teresa to be held at the Vatican. “Every citizen of India, including our nearly 20 million Catholics, takes immense pride and joy on the recognition by your Holiness and the Catholic Church of Mother Teresa’s profound nobility of soul, purity of purpose, and service to God through service to humanity,” she wrote in her letter. Ms Gandhi said that Mother Teresa was one of the most revered, loved and admired figure in India and she was given Bharat Ratna — the country’s highest civilian award. 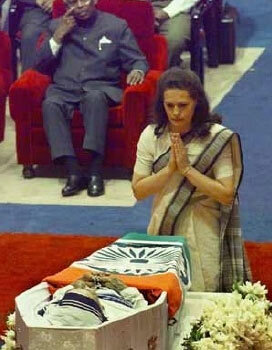 In her letter Ms Gandhi said that she too would have attended the sacred ceremony if she was well, NDTV reported. “If I had not been unwell, I too would have been there to witness this sacred ceremony, and to pay my humble homage to the woman who was the very embodiment of boundless compassion, mercy and grace,” she added. She said that Congress leaders Margaret Alva and Louzinho Falerio will represent her party at the canonization ceremony.